We love our Famous Unitarian Universalist Lists, don’t we? Alcott, Dickens, Potter, Revere all have United States postage stamps, and that can feel like a stamp of approval. 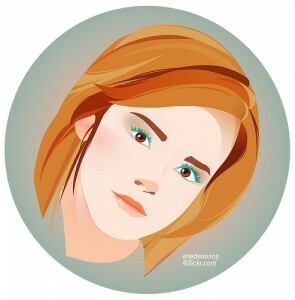 Stefan Jonasson says on his personal blog: “Emma Watson set Unitarian Universalist hearts aflutter with hope and speculation (a couple months ago) when she came out as a Universalist, leaving people to wonder whether she had been quietly lingering in one of our congregations. Goodness knows, we like to imprint the names of famous Unitarian Universalists on our t-shirts — perhaps even tattoo them on our torsos, if we’re into that sort of thing — so I braced myself for a new wave of name-dropping and celebrity admiration in our congregations. “Now perhaps you’ve been living in a bubble on the edge of the known universe and have no idea who I’m talking about. Emma Watson is the gifted young actress who came to fame as the character Hermione Granger in the Harry Potter movies. As Hermione, she was the smartest character in both the books and the movies who wasn’t actually on the faculty of Hogwarts Academy — and she seems equally intelligent, thoughtful and charming in real life. “Interviewed before the release of the movie Noah, in which she portrays Noah’s adopted daughter, Emma Watson said, “I already, before I did the movie, had a sense that I was someone that was more spiritual, than specifically religious.” She then continued, “I had a sense that I believed in a higher power, but that I was more of a Universalist, I see that there are these unifying tenets between so many religions. What is that urge to claim about? 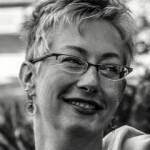 Another lab member said, “I think it’s basically an attempt to aggrandize and justify ourselves by identifying ourselves with well-known people, as if to share in their reflected glory… It’s one manifestation of a regrettable attitude of self-celebration and self-congratulation that I think is too present in much of UU culture. I think it both inhibits our personal spiritual growth and makes us look shallow and self-absorbed to outsiders.” Ouch. And yes. I wonder where might be better find an authentic source of self esteem? There are a number of celebrities articulating core universalist teachings (Pharrel Williams and Emma Watson), but I’m not adding them to our ranks until they claim us. And they probably won’t in the near future, if at all. However, I take this as a healthy indication there is a powerful universalism bubbling up in the greater culture – a reminder that out faith lives so much larger than self-identified-UUs or the walls of our institutions. The work of our tradition/ our people is to be in relevant, authentic relationship with the rising up of universalism. Where do you see universalism rising up in your wider community? How could you/we be in a more dynamic relationship with universalism? Rev. Tandi Rogers is starting a campaign to invite Pharrel Williams to be a future Ware Lecturer. She doesn’t want to claim him so much as partner with him and continue to be inspired. He makes her happy.